This year I had the privilege of attending the 2016 American Speech-Language-Hearing Association’s annual conference. The conference was held in Philadelphia, PA at the Philadelphia Convention Center. I was in attendance from Thursday, November 17th to Saturday, November 19th and was able to sit in on 7 different seminar sessions. Each of the sessions was very informative and full of new information to learn. A few of the topics discussed included behavioral regulation, core vocabulary, eliciting /r/, and strategies for articulation therapy. I enjoyed each session, but especially the one on behavioral regulation and how important it is for a child to obtain before academic gains can be made. The presenter was very knowledgeable and gave us several real-life scenarios in which we could use the techniques she was discussing. I also presented a case study poster about a previously served client with three of my CSD peers. Our poster was titled, “Supporting Intelligibility in a Russian Speaking Adult with Repaired Cleft Palate.” I am very grateful for the opportunity to present at ASHA and look forward to similar opportunities in the future. I am excited to return to the ASHA Convention for many years to come! 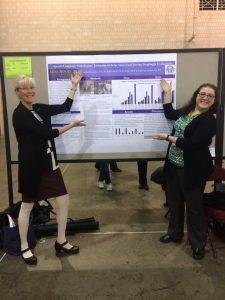 This past weekend, at the annual American Speech Hearing Association (ASHA) Convention in Philadelphia I had the privilege of presenting two posters. In-between presenting my posters, I had time to go to multiple sessions, explore the overwhelming exhibit hall, talk to future possible employers about my professional interests, and even explore some of Philadelphia. It was inspiring and exciting to be surrounded by so many energized people who share the same interests I do. It was also encouraging to listen to experienced professionals talk about specific articulation therapy targets that I struggle treating at my externship placement. I learned new strategies to help 3rd grade and older students acquire the challenging “r” sound. I look forward to implementing these new strategies with my clients. I will be sure to attend the ASHA convention again in the near future! 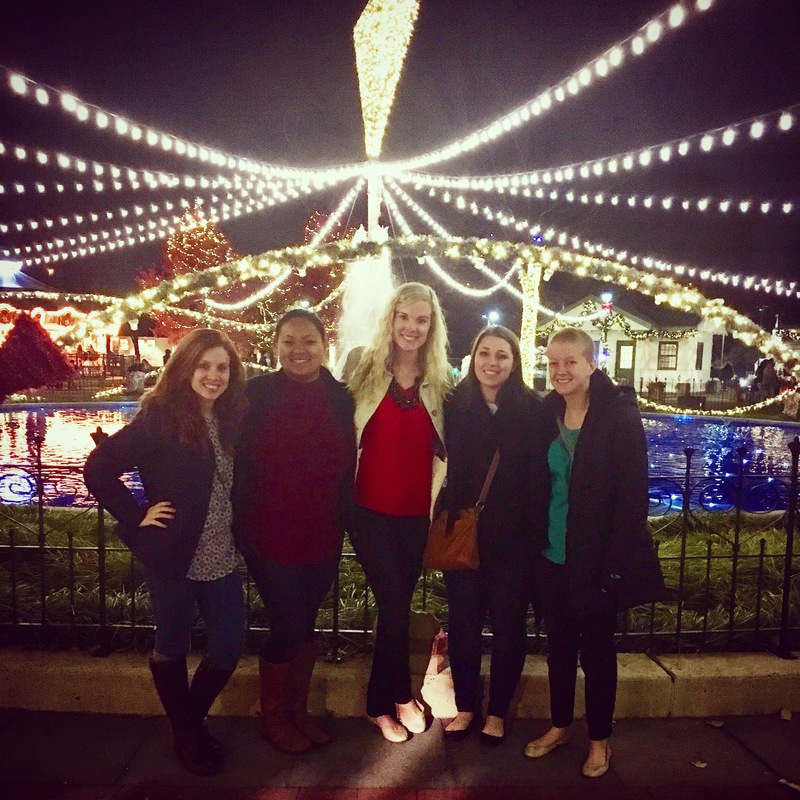 My name is Moriah Chapman and I am a second year graduate student in the Communication Sciences and Disorders program at Longwood University. 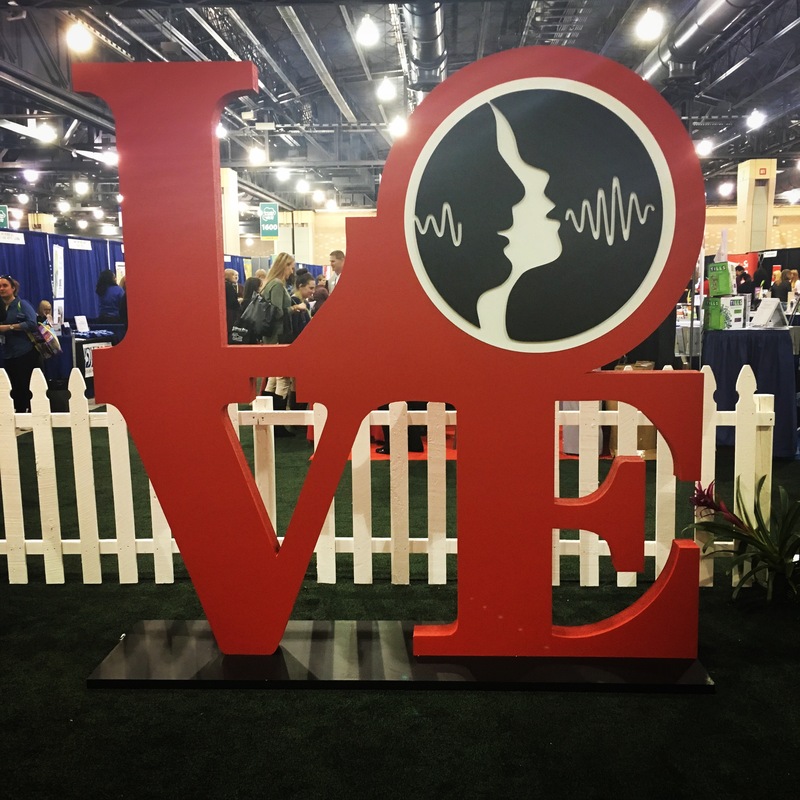 I recently went to the American Speech-Langauge-Hearing Association (ASHA) Convention in Philadelphia, PA. I along with other graduate students presented at the Poster session. Our poster was titled “Supporting Intelligibility in a Russian Speaking Adult with Repaired Cleft Palate”. We completed the research over the course of six months at the Speech, Hearing, and Language Services clinic at Longwood University. 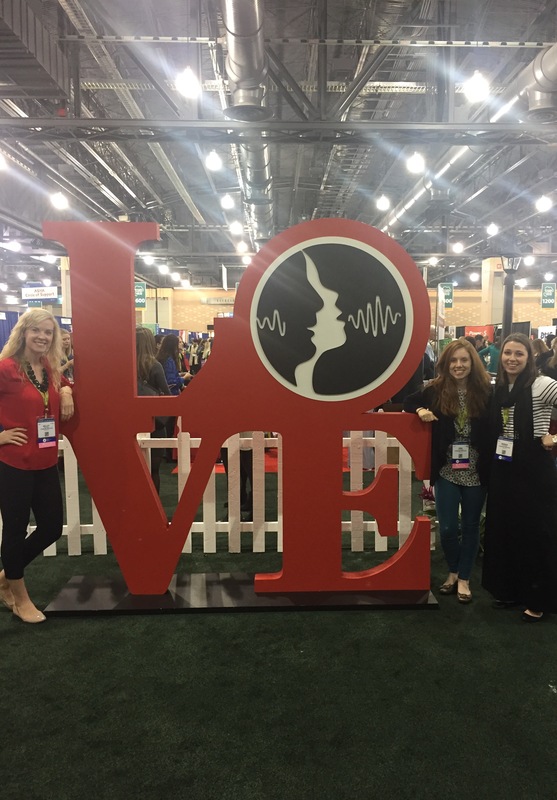 During the ASHA Convention, I attended many lectures and sessions regarding different issues that were related to speech-language pathology. One session that I found helpful was about the correct production and remediation of the “r” sound. I found all of the sessions and lectures to be helpful and I gained some helpful information from them. 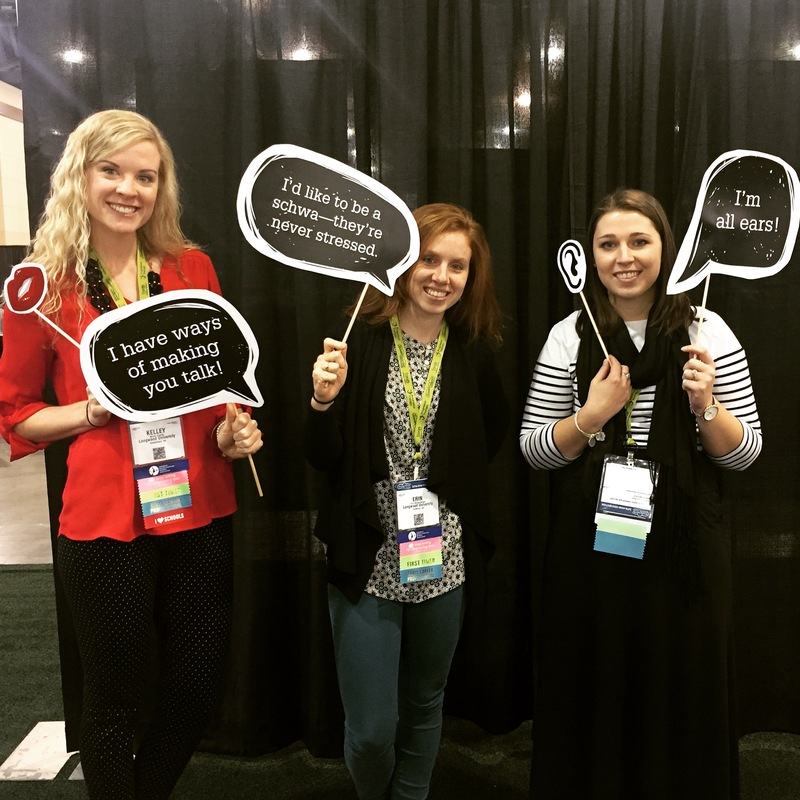 Overall, I greatly enjoyed my experience at the ASHA Convention! 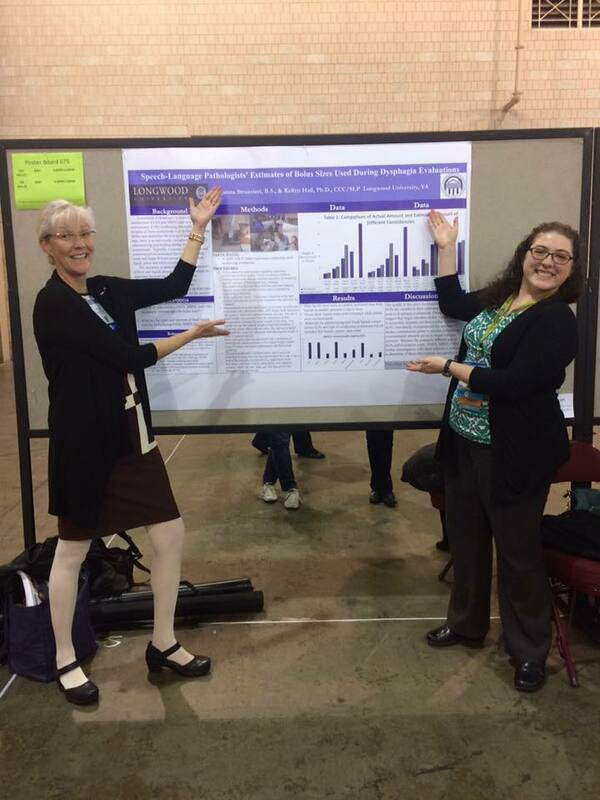 Dr. Kellyn Hall and Joyanna Struzzieri presenting their poster at ASHA. 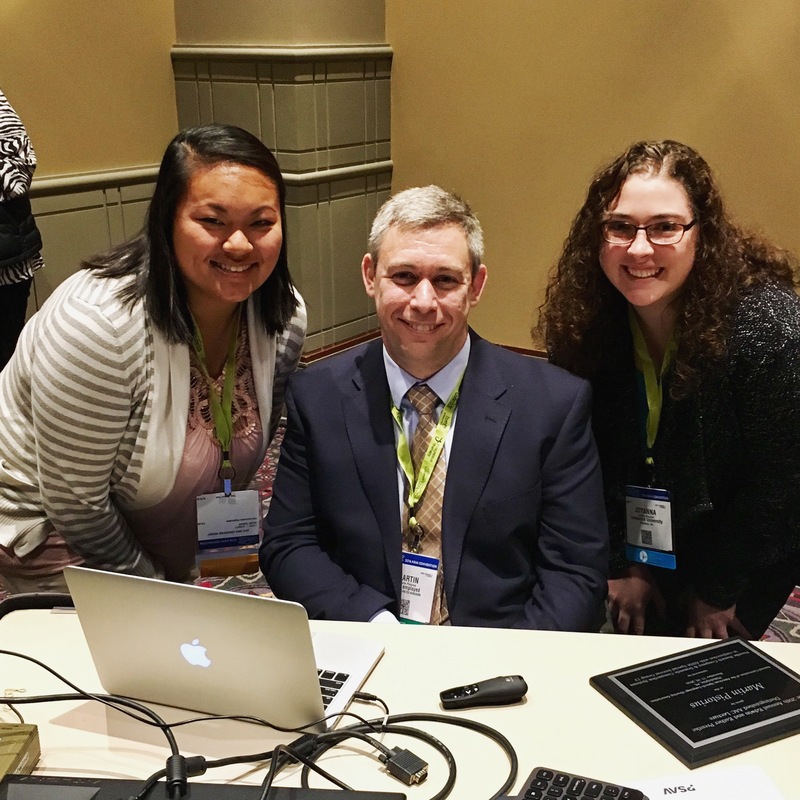 Kelsey Dunbar and Joyanna Struzzieri had the opportunity to meet author and AAC user Martin Pistorius after his presentation. Attending the American Speech–Language–Hearing Association (ASHA) national conference in Philadelphia, Pennsylvania proved to be an amazing experience for me that has impacted my future practice as a speech-language pathologist. I presented data from my ongoing research at a poster session. During the session, several attendees came to the poster to provide me with encouragement and advice for my research. To further my knowledge about speech-language pathology, I attended several sessions every day on anatomy, language, feeding and swallowing that will aid me when I graduate next year. I also obtained hands on experience practicing endoscopy with experts. In addition, I had the opportunity to meet some celebrities of my profession, including bestselling author and AAC user Martin Pistorius and Parkinson’s Disease voice expert Dr. Lorraine Ramig. The conference was a wonderful opportunity for me to learn information that will aid me as a professional and the experience will stay with me forever. This was my first time attending an Ame rican Speech-Language-Hearing Association (ASHA) Conference. I have attended the Speech-Language-Hearing Association of Virginia (SHAV) Conference before, but this was definitely a different experience. The first adjective that comes to mind is overwhelming! There were over 16,000 people in attendance. 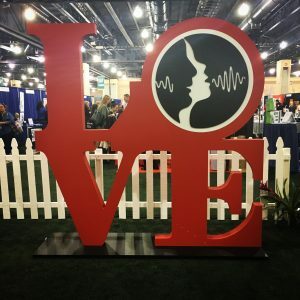 At first, it was difficult to navigate through the Philadelphia Convention Center and the Marriott Hotel, it was crowded everywhere you went (even outside of the convention center), and sometimes you could not get into a session because there were too many people. Luckily, it did not take long for me to learn how to navigate the crowds and understand that I needed to arrive at least 30 minutes before a session to get a seat! 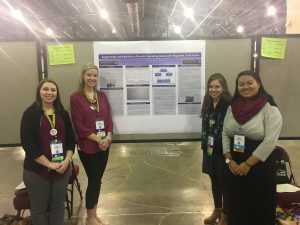 Even with it being so overwhelming, I learned a lot of new information and networked with several speech-language pathologists (SLPs) throughout my time at ASHA. One of the highlights of the conference was meeting and attending a session by Martin Pistorius. In my Augmentative and Alternative Communication (AAC) class, we read his book, Ghost Boy. It was amazing to hear his personal testament about how SLPs impacted his life and provided insight on how I should work with people with complex communication needs. Some of the other sessions I attended were about working with children with Autism who have self-limiting diets, using Applied Behavior Analysis (ABA) in conjunction with speech pathology, treating transgender patients who wish to change their voice, and opening your own private practice. One thing that I really liked about ASHA was the wide variety of topics discussed in the sessions. It was helpful to hear about specialty areas that we do not get to discuss during our classes. One of the main reasons I attended ASHA was to present a poster. Three of my peers and I presented a case study about an adult client from Kazakstan with a cleft palate. We decided to present this poster because this client represented a rare case. It was difficult for us to find specific research about her needs, and so we wanted to share our clinical decision making process with others. Our hope was to provide information to others who may have a client similar to ours, and also to help students understand the decision making process to help them with any complex clients they may have. During our presentation, we had the opportunity to converse with a few professionals who specialize in craniofacial anomalies. It was great to hear their perspectives on what we did and hear advice about things to consider to improve our research in the future. Finally, one of my favorite things about ASHA was being able to explore Philadelphia in the evenings. On the first day, I was able to see the historic side of Philly and I visited the Liberty Bell. It was also great to see the city getting ready for the holidays. Right downtown, where the iconic LOVE sign is, there was a small ice skating rink. 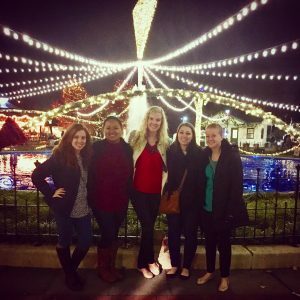 While exploring the city, we also came across some Christmas lights on Franklin Square. At night they had an “Electric Light” show. And of course, we asked around to find the best place to eat a Philly cheesesteak. It was fun to attend an out-of-state conference because I learned a lot at the conference during the day, and I got to explore a new city in the evenings.